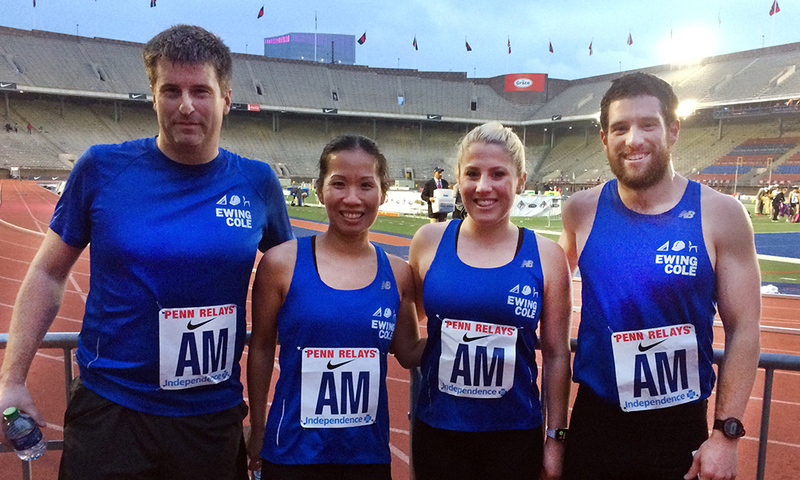 Congratulations to the EwingCole running team (Taylor Wright, Vicky Huang, Scott Nixon & Ben Nieto) who ran in the Penn Relays Corporate Distance Medley relay this past Friday at historic Franklin Field. 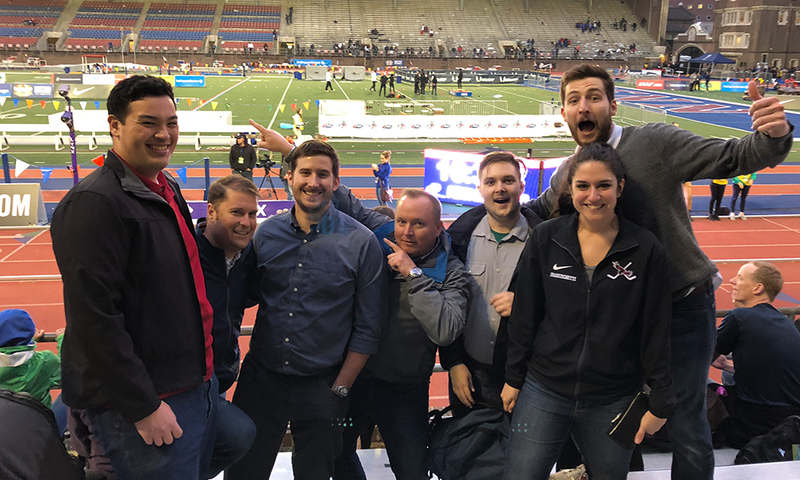 This is the third year in a row team EwingCole participated in the Penn Relays, the oldest and largest track and field completion in the United States. This year we finished 16th out of a field of 27 corporate teams from across the country. The total race distance was 2 1/2 miles and our finish time was 13:09.72, which is a 5:16 min per mile pace. Team EwingCole would like to thank Philadelphia What’s Happening Social Committee for planning the Penn Relay Social and all the pre-race support we received. We would also like to thank the cheering section (Steve Bartal, Kevin Nowak, Carter Hayes, Brian Valunas, Daniel Brown, Taryn Francischetti, Zack Wagner) who came out to Franklin Field in support of the team. Hope to see more of you next year! We have exciting news for next year’s Penn Relay race team! With the growing group of runners in the Philadelphia office, we are planning on holding tryouts for any runners that are interested in earning a spot on the team. I will send out an email at the end of the year regarding 2019 tryout dates and information. Please contact me if you are interested.